Hōshō was the first Japanese naval vessel designed and built as an aircraft carrier, although some claim the ship was merely adapted to the aircraft carrier role, rather than built as one from the outset. Whatever the case, it is quite clear that at the time of Hōshō’s design and construction there were simply no other ships of that class that could serve as a blueprint for her development, which makes the issue of the vessel’s original role irrelevant. The idea to use a tanker as the basis of an aircraft carrier made perfect sense as at that time aircraft had relatively low speeds, but required a lot of hangar space. Combining empty, spacious tanks used as hangars with a straight flight deck on top of them resulted in a design that could be considered an aircraft carrier. Issues that still needed to be resolved included launch and, more importantly, recovery of fixed landing gear aircraft. At the time of her construction Hōshō appeared to be a sound and solid design. However, her designers lacked the foresight to consider rapid advancements in aircraft performance and airborne weapons technology, which resulted in faster, better armed and, most importantly, heavier designs being introduced virtually every year. Perhaps the best way to illustrate this is by comparing performance data of aircraft built between 1905 and 1920 with those in service at the beginning of World War II. 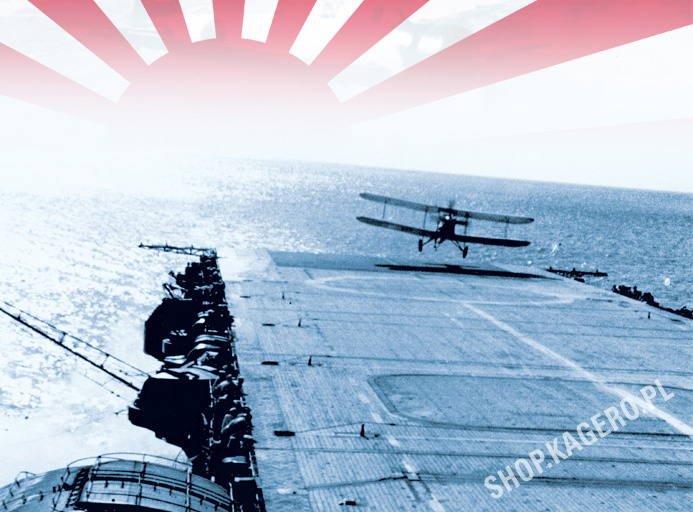 When Hōshō was built she fulfilled all the requirements of an aircraft carrier of the time, but as the years passed the ship quickly became obsolete and ill-suited to accommodate new aircraft types. 1) First variant: “medium” aircraft carriers displacing 13,500 tons with a top speed of 34 knots and a range of 8,000 nm at 14 knots, armed with > 8 × 14 cm HA, > 4 × 13 cm HA and 26 embarked aircraft (12 fighters, 12 bombers and 12 reconnaissance machines). 2) Second variant: “auxiliary” aircraft carriers displacing 10,000 tons with a top speed of 30 knots and a range of 8,000 nm at 14 knots, armed with > 6 × 14 cm HA, > 4 × 12 cm HA and 24 embarked aircraft (8 fighters, 8 bombers and 8 reconnaissance aircraft). Both variants were to feature armor protection identical to that used on light cruisers.